Young, male, Norwegian figure. The boy’s head is ceramic. His face is painted, with brown eyes. He short auburn hair and is wearing a sailor’s cap. 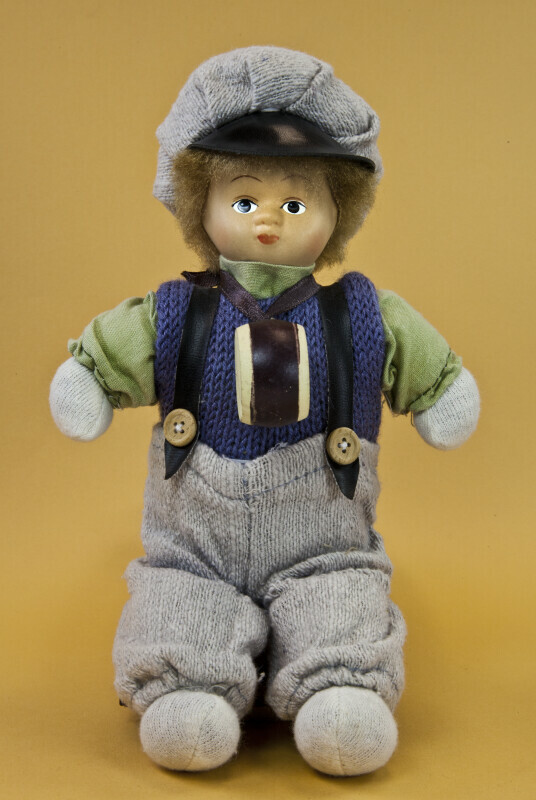 He is wearing a blue knit vest and grey wool pants, with suspenders. Strapped around his neck is a hand drum. The figure stands 6 inches (16 cm) tall.